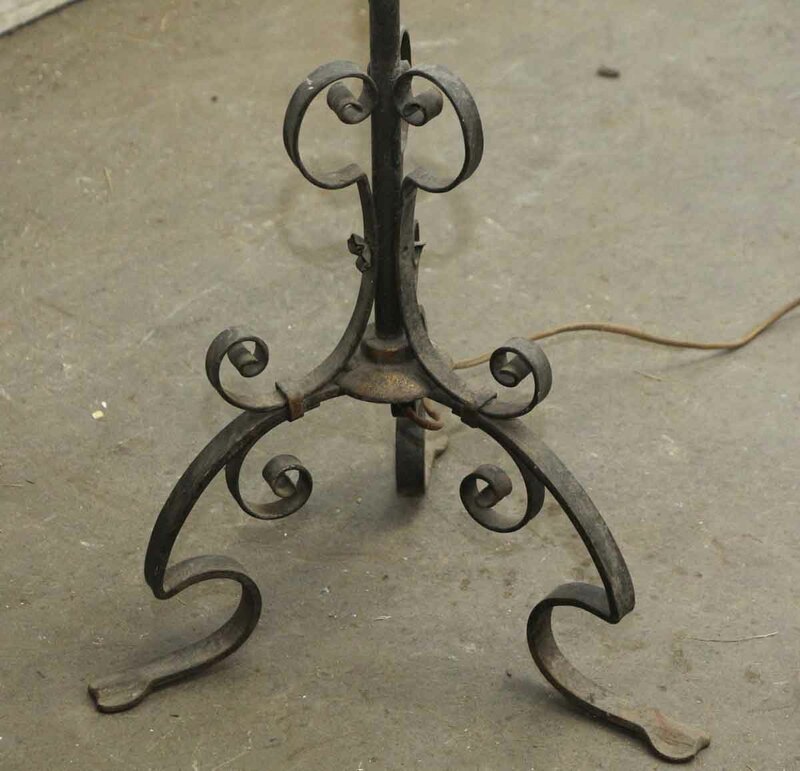 This is an original wrought iron kerosine lantern stand from the 19th century that has been electrified. 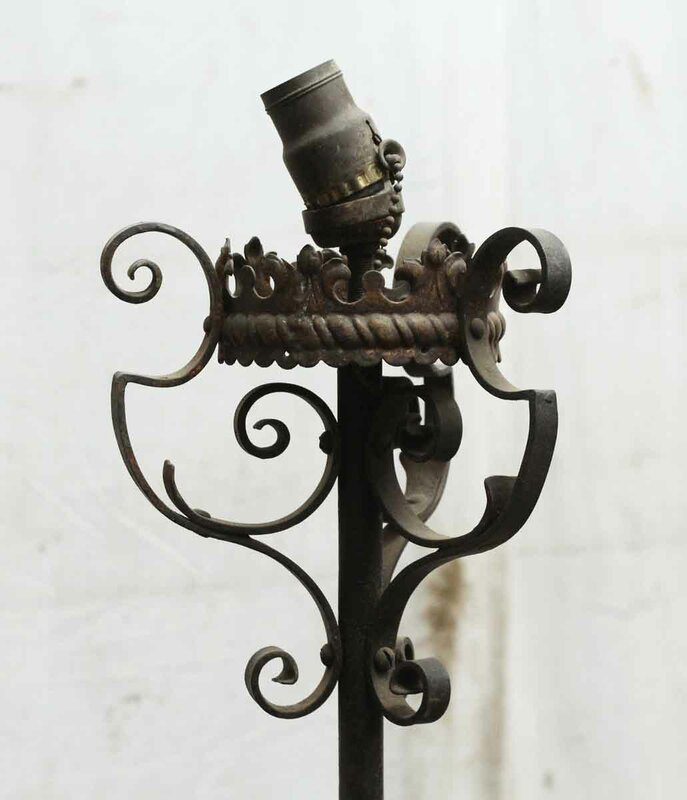 The iron work is stunning and all hand crafted with hand turned details. 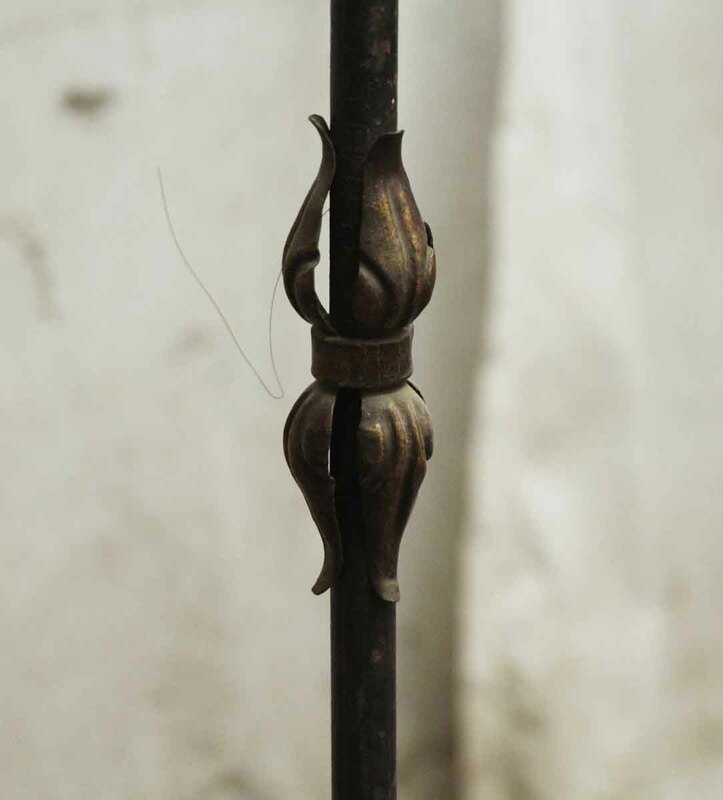 Price includes cleaning and rewiring.